Greg Clark, CEO With great digital transformation, comes great cybersecurity responsibility. It is believed that by 2020 the world will witness 200 billion connected devices. In the education sector, while this will pave way for virtual reality, cloud-based technology, and m-learning in classrooms, the reality is that everything that can be connected to the internet can be hacked. An education institution is a repository of valuable student and faculty information, starting from bank details, personal data, and medical records. One of the largest data breaches in 2018, that took place in the Pennsylvania Department of Education, exposed 360,000 documents, including the social security numbers of current and former teachers. It is evident that schools and universities must adopt a more vigilant and focused strategy to protect every threat surface and access point or risk severe reputational damage and identity thefts. When it comes to pure play cybersecurity, one company that needs no introduction is Symantec [NASDAQ: SYMC]. From integrated cyber defense, endpoint security, and network protection, Symantec offers a portfolio of security products that are powered by the world's largest civilian threat intelligence network. Not to forget that the company is also a household name, with more than 50 million families relying on Symantec's Norton and LifeLock product suites to protect their digital lives at home and across devices. Behind Symantec's unabated growth and continuous innovation is industry leader and visionary, Greg Clark, CEO, of Symantec, under whose leadership the company is only expected to reach greater heights. “Symantec’s goal is to be a trusted partner in the cloud generation, delivering the best cybersecurity solutions to customers and enterprises alike,” affirms Clark. With close to four decades of industry experience, a global footprint in 35 countries, protecting 175 million endpoints worldwide, Symantec's strong cybersecurity position is truly unassailable. Symantec caters to the needs of a wide range of industries, but in response to the acute needs of the education sector they bring tailored solutions to secure cloud applications, network, and data. To maintain data integrity and protect intellectual property belonging to educational institutions, the company's Symantec Data Loss Prevention Cloud and Symantec CloudSOC is an integrated cloud security solution that combines data loss prevention (DLP) and cloud access security broker (CASB) technologies. Symantec's DLP ensures optimal performance for content being uploaded or stored in the cloud. When the DLP and CASB solutions are combined, they enable rich policy actions and eliminate inefficiencies incurred when shuttling content between the cloud and on-premise hardware. Moreover, the solutions allow sensitive data to be encrypted while maintaining security and compliance requirements such as PCI and HIPAA. Symantec encryption includes full-disk and removable media encryption for endpoints, email encryption to secure sensitive communications, and file share encryption to protect files on shared network drives and in the cloud. To ensure that only authorized people have access to particular data, the Symantec VIP Access Manager is another feature which integrates single sign-on (SSO) with strong authentication, access control, and user management so that administrative bodies can control and audit who is accessing their internal and third-party cloud-based applications. Together, DLP and CASB also uncover shadow data and provide detailed visibility of user activity in the cloud, alert risky behavior, and prevent inappropriate sharing of sensitive content. To facilitate faster triage, in case of a data loss, Symantec Information Centric Analytics is an advanced cyber risk analytics solution that allows organizations to remediate incidents quickly, mitigate insider threats, and effectively respond to cyber breaches. Recently the company introduced an integrated email threat isolation solution, making them the first and only vendor to offer a complete and integrated email security solution with threat isolation technology for enterprise email. The solution blocks advanced email attacks on end user devices by protecting users against spear phishing, credential theft, account takeover, and ransomware attacks. 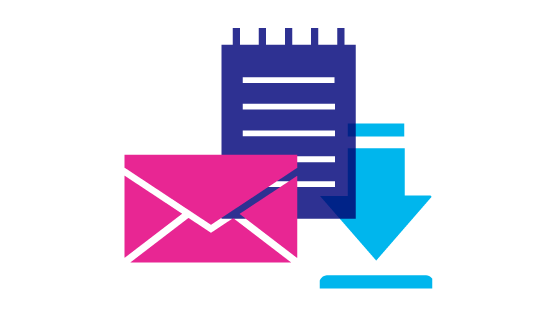 “Despite significant efforts by our industry to detect and block email-borne threats, messaging remains the primary vector for malware and scams within the enterprise. This revolutionary technology helps enterprises to quickly and easily isolate all malicious email content—both internal and external— to substantially reduce inherent risks within messaging applications. Further, because the technology is cloud-based, organizations can be up and running quickly and easily, reducing stress on already taxed IT teams,” states Clark. Keeping in mind that educational institutions today promote a culture of BYOD in support of e-learning as opposed to only chalk-and-blackboard methods, Symantec's solutions extend security outside an institutions network perimeter to protect all mobile devices on campus. Symantec's Endpoint Protection Mobile is an advanced mobile security technology that predicts, detects, and prevents physical, malware, network, and vulnerability exploits in mobile cyber attacks. While most mobile threat defense solutions are passive tools that send notifications on detecting suspicious activity, Symantec Endpoint Protection Mobile responds in real time to identified threats, taking deliberate actions, and leveraging machine learning to protect devices and the resources they connect to. Best of all, the solution is also available for download through a publicly available app via Google Play or the App Store. The app caters to the mobile security needs of an entire community from the student users to faculty as well as IT security staff who can be rest assured that their mobile infrastructure is not compromised. 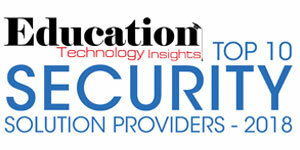 "Symantec offers a portfolio of security products that are powered by the world’s largest civilian threat intelligence network"
To foster next-gen learning in a special education class the endpoint management team at Delaware’s Indian River School District needed to take care of 6,000 endpoints, including 1,500 iPads. Discontent with their current antivirus solution, the school's IT team evaluated solutions from four major vendors. They were looking for a solution that could manage desktops and all mobile devices, both Windows and Mac, through a single pane of glass. Only Symantec was able to meet the client's needs for centralized metrics and decision support. With Symantec's endpoint and mobile management solutions, the client observed threefold increase in endpoint remediation. Previously, while a few dozen systems were getting infected per week, Symantec’s endpoint security solution scanned application behavior in real time to identify and stop previously unknown threats. Symantec Endpoint Protection saved as much as 200 staff hours a year in security remediation time and enabled IT teams to close tickets faster. Focused to be 'better than the best' to strengthen cyber defense, the company also offers DeepSight Intelligence enabling security teams to stay ahead of evolving threats with actionable intelligence that is timely, relevant, and context-rich. The DeepSight API and data feeds make current security technologies more effective by leveraging technical and adversary intelligence in an automated fashion. Taking threat protection a notch further, the company uncovers advanced threats across endpoint, network, and email from one console. To maximize a client's existing security investment, Symantec allows institutions to optimize and customize incident response flow with public API and integration with Splunk and ServiceNow. Since cutting-edge cybersecurity is incomplete without comprehensive support, Symantec offers a complete solutions package that includes round the clock assistance with implementation, maintenance, and renewal and upgrades. “Symantec continues to heavily invest in our global SOC locations,” mentions Clark. “Our strategic expansion in Chennai (India) and other SOC territories highlights our commitment to providing the most evolved cybersecurity to customers around the world. For maximum client benefit, the company also offers instructor-led training courses on all their offerings, an e-library that comprises on-demand training modules, private training, certification programs, as well as security awareness services. This year the company witnessed wider product adoption, owing to its superior protection, cross-product integration, and the lower overall cost of ownership. In the days to come Symantec will be focusing on detecting malware and new ways to confound attackers through telemetry, advanced analytics, and machine learning. Symantec is an industry magnate when it comes to strategic, integrated solutions to defend against sophisticated attacks across endpoints, and there is no doubt the future of cybersecurity has only one name—Symantec.